Arc’s newest feature has arrived! Arc now provides gamers with a built in communication tool - Arc Voice - that you can customize to fit your gaming community needs. Arc Voice provides custom friends lists, public and private voice channels, as well as voice and text communication between individuals or groups. Now you can communicate over voice to make those guild raids, boss battles, and pvp battles more exciting and effective! Arc Voice will launch this evening following our platform maintenance (around 9:00 pm PDT). Let’s run down some of the features of Arc Voice. You can now organize your friends by creating a custom list based on the games that your friends play or even hobbies that you share. Have friends that play only Neverwinter or a group of people that play a handful of games on Arc? 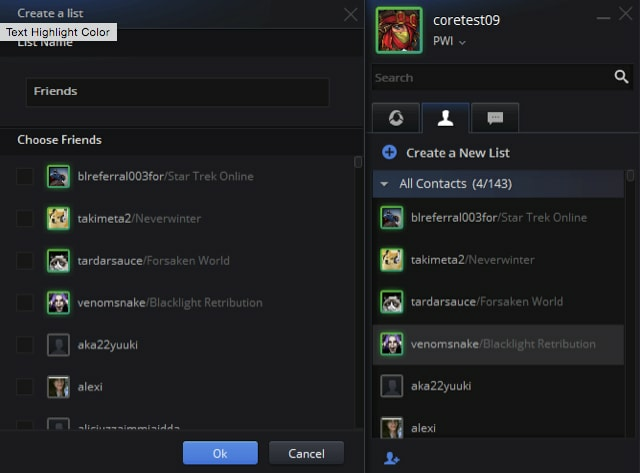 Custom friends lists gives you an easy option to tailor conversations to specific groups or large parties of friends. 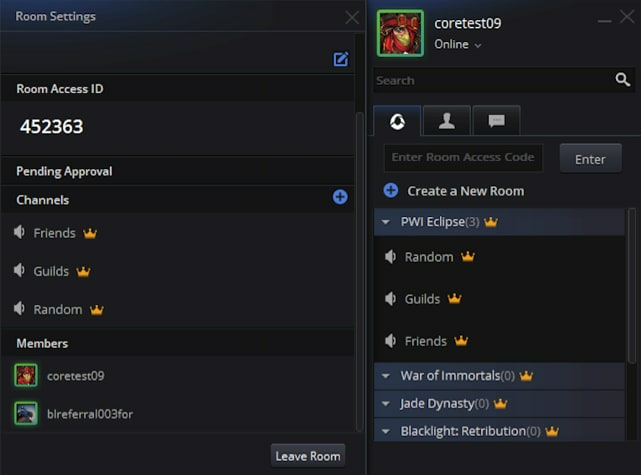 You can now create your own room and invite others to join a voice channel. You and your friends can quickly jump into a voice group call by using custom voice channels. By using these new room and voice channel features, guild masters or party leaders can manage their group and quickly connect with party members through voice chat whenever you play games together or outside of the game. To ensure privacy while using Arc Voice, your friends need to receive the Room Access ID of the room that you created. You can find your Room Access ID if you are the Room admin or from any member who is currently part of the Room. 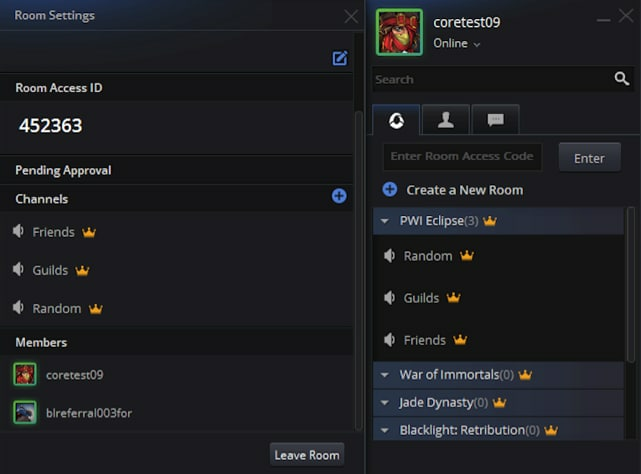 The Room Admin can change the settings so that any new player wanting to become a member will need the admin’s approval when trying to join the room. Once you have the Room Access ID, enter it into the Room ID field and click Enter. Once you have joined the Room, the Room will be added under your Room list so that you can quickly jump in and out. Once you have created a room or joined a room, players can create a voice channel for the room. Depending on the current settings, any player in that room can create a voice channel or only the admin can create a Voice Channel. 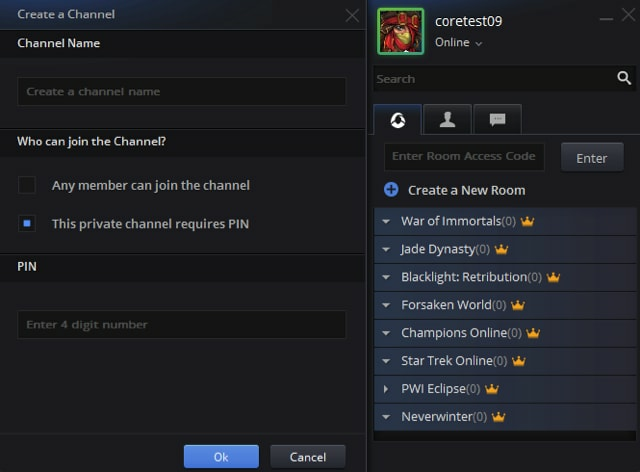 You can join any channel by clicking on the voice channel name. Joining voice channels will give you direct access to your guild members, parties and teammates in game, and can be used as a tool to play those epic raids! Now you’ll be able to see what games your friends are currently playing, start voice chats with any of your friends, resume chat communication from wherever you left off, and invite others to form a group chat. As always, be sure you post feedback on our forums.